Check out the 1936 patent here. Thanks to rjc, a true OG, for this one. Tomorrow (Sunday) marks the beginning of the 2007 Panasonic World Solar Challenge. Inspired by adventure and fuelled by the spirit of friendly competition, the event attracts teams from corporations, research and educational institutions around the world. 2007 will be the 20th anniversary since the first World Solar Challenge was staged. 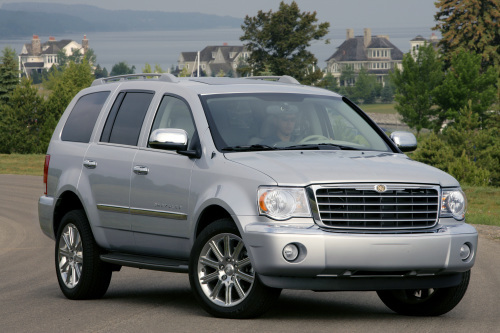 The new Aspen full-size SUV will join the Dodge Durango as Chryslerâ€™s first volume production hybrids next year. Both vehicles will use a 5.7-liter HEMI engine coupled with the advanced two-mode hybrid technology being co-developed by GM, DaimlerChrysler and BMW. The HEMI engine will continue to feature Chrysler Groupâ€™s Multi-displacement System (MDS), which allows the engine to alternate between four-cylinder mode when less power is needed and V-8 mode when more power is in demand. The new 5.7-liter HEMI Hybrid is expected to deliver an overall fuel economy improvement of more than 25%, including an improvement of nearly 40% in the city. The current 2007 Aspen (2WD) carries an EPA rating of 15 mpg city, 20 mpg highway, 17 mpg combined. Why use batteries when you can use compressed air? Waste heat energy is generally recovered in combined-cycle engines which utilize the Otto cycle to generate power and the Rankine cycle to recover waste heat. 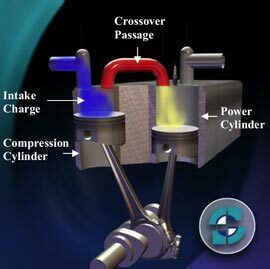 Conventional combined-cycle engines must immediately utilize the recovered waste heat or discard it. In contrast, the Scuderi Air-Hybrid Engine has the added capability of storing the waste, which is heat-generated energy in the form of compressed air in the Scuderi Engineâ€™s air tank for later use. This capability further enhances the engineâ€™s fuel efficiency and further reduces the engineâ€™s emissions output. By adding a small air storage tank with some simple controls, the Scuderi engine can also recapture energy normally lost during the braking of a vehicle. In addition, unlike electric hybrids, the Scuderi Air-Hybrid has the capability of recapturing energy from the exhaust of the engine, making it possible to utilize a Scuderi Air-Hybrid design in stationary applications such as electric generators. Scuderi expects its Air-Hybrid Engine to deliver a significant increase in performance, efficiency and environmental impact over todayâ€™s internal combustion engines. The Scuderi Air-Hybrid Engine is adaptable to diesel and gasoline automobiles, commercial vehicles and any other applications powered by internal combustion engines.